A program by Bright by Three for parents and caregivers of children under five that sends free activities, games and resources right to your cellphone. Messages are targeted to your child's age and include information on child development, language, health and safety, behavioral tips and more. Subscribe for free by texting BRIGHT to 274448. Colorado Childcare Assistance Program (CCCAP) provides child care assistance to families who are working, searching for employment, are in training or who are enrolled in the Colorado Works program and need child care services to support their efforts toward self-sufficiency. One of the top children's hospitals in the nation, supporting children's well-being through direct health care services, policy and advocacy. A nonprofit, nonpartisan advocacy organization committed to expanding opportunities for children in Colorado. The City and County of Denver partners with delegate agencies to provide families with access to high quality school-readiness services and experiences. 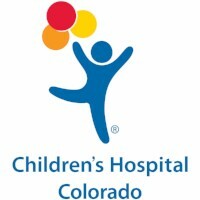 One of Colorado's premier healthcare institutions located in Central Denver. Denver families are eligible for monthly preschool tuition credits through Denver Preschool Program. Mile High United Way offers this free, confidential and multilingual service that refers callers to more than 11,000 health and human services across Colorado. The database can be accessed easily by dialing 2-1-1. Parent Possible is the Colorado anchor for Vroom, a program that translates the science begin the brain's executive functions into easy, actionable tops and messages that encourage back and forth interaction between children and parents or caregivers. 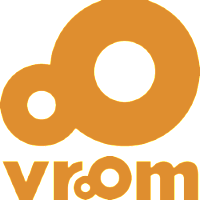 Vroom seeks to turn every parent into an active brain-builder.